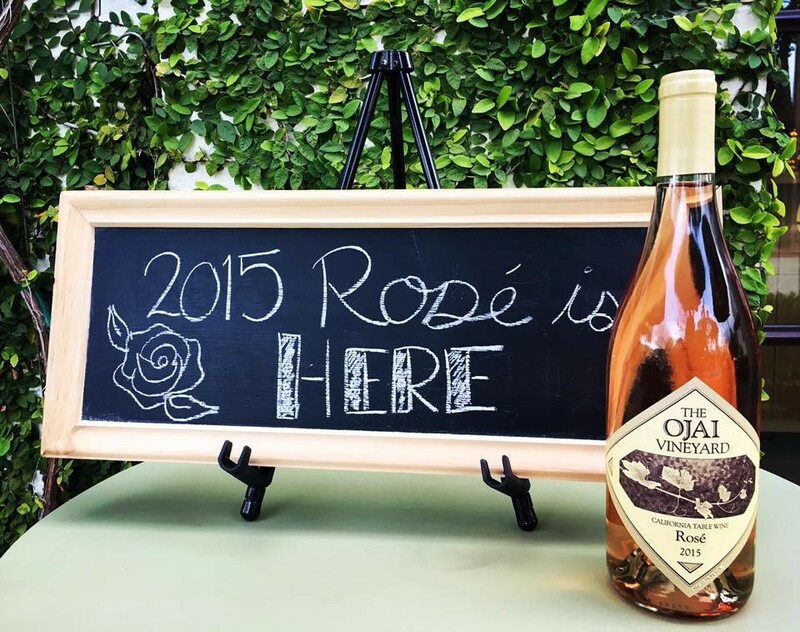 The Ojai Vineyard » May 7th – 2015 Rose Celebration! May 7th - 2015 Rose Celebration! We are excited to release our 2015 Rose Online and at the Tasting Room on Saturday May 7th! We will offer special bottle pricing for the night ($19.99, regular $26.00)–so now is the time to stock up! If you are in Ojai from 4pm to 8pm come taste the new Rose and enjoy great food and live music! For the night’s wine bar attraction we will be offering a treasure trove of wine by the glass from our coveted Magnum Library. The library wines will be priced at $12.50 a glass and our new Rose for $9 a glass! If you can’t make it to our release party, don’t be dismayed, you can order it here for the special $19.99 price for a limited time and we will be happy to ship it or have it ready for pick up at the tasting room. To receive our best price the order deadline is May 21st.